500g in a glass jar. Humans have been collecting wild honey for at least 15,000 years, and the domestication of the honey bee became one of the first forms of agriculture, about 9,000 years ago. Honey and the honey bee have become significant symbols of sweetness and fertility in many cultures. 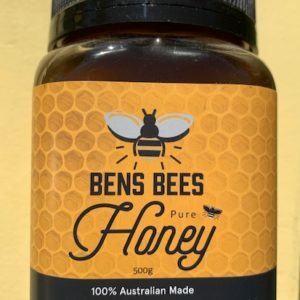 In addition to its importance as a natural sweetener, honey has traditionally been used as a preservative and to aleviate a variety of medical complaints. An 8,000-year-old cave painting in Valencia, Spain, depicts two figures using baskets and ladders to collect wild honey. For thousands of years, honey hunters in Africa have followed small birds called honeyguides to locate bees’ nests and harvest honey. This has led to the formation of a unique relationship which benefits both man and bird. The hunters use special calls to communicate with the birds, which in turn actively seek out the hunters and guide them to the bees’ nests. The honeyguides feed upon bees’ eggs and larvae and beeswax, and rely upon their human partners to break open the hive. In what remains the earliest evidence of apiculture, traces of beeswax have been found upon pottery dating back almost 9,000 years from ancient Turkey. The earliest-known honey was recovered from clay vessels in a tomb in Georgia from about 5,000 years ago. Several varieties of honey were interred with the local people to assist in their journey to the afterlife. Beekeeping is recorded from Egypt 4,500 years ago, where honey was used extensively in cooking, to treat medical ailments and to assist in embalming the dead. To the Egyptians, the bee often symbolised royalty and fertility, and honey has been discovered in royal tombs, including that of Tutankhamun. 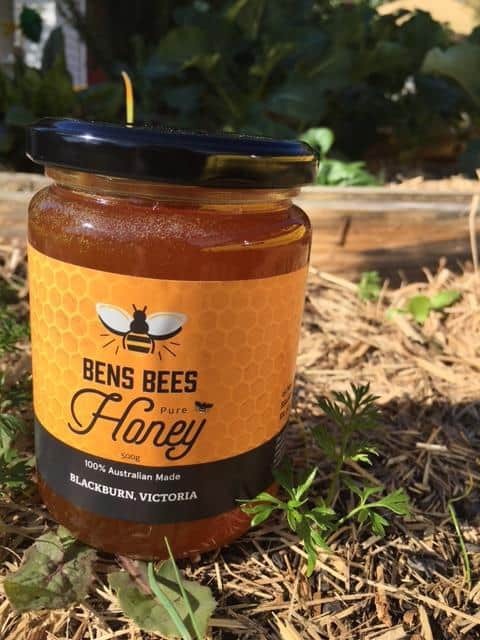 Other ancient writings also make frequent references to honey, including Sumerian and Babylonian cuneiform texts, dated to around 2100 BC, and the Hittite code. 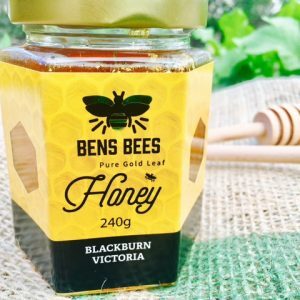 Honey was a vital sweetener in Greek and Roman cuisine, and the ancient Greeks were fervent believers in the healing properties of honey, which was considered to be the ‘food of the gods’. Greek beekeepers would move their hives considerable distances to take advantage of regional vegetative cycles and optimise production, and by the 6th century BC, beekeeping had become so widespread in Greece that a law was passed to regulate the location of new hives. 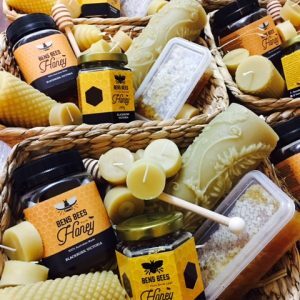 Beekeeping flourished throughout the Roman empire, and the advent of Christianity created great demand for beeswax candles. Honey is mentioned more than 50 times in the bible, and the Promised Land is described as flowing with milk and honey. An apiary dating from the 10th century BC has been excavated in Tel Rehov, in Israel’s Beth Shean Valley, that is estimated to have contained 100 hives and produced half a ton of honey annually. Pure honey is considered kosher even though, strictly speaking, bees are not. In fact, honey symbolises the Jewish new year, Rosh Hashanah, when apple slices dipped in honey are traditional fare. Central America traditionally kept stingless bees and still use this honey for culinary purposes. The importance of honey is intrinsically woven into human history. In medieval Europe, it was often used as a form of currency. Napoleon chose the bee to be his emblem as emperor; symbolising diligence and orderliness, and also (as the producer of honey) sweetness and benevolence. Cupid was reputed to dip his arrows in honey to make them irresistible to his unsuspecting targets. The European Honeybee was introduced into Australia in the early 1820s, and has proliferated due to extensive native vegetation. 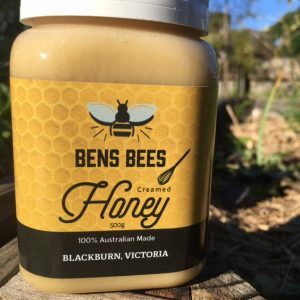 The current popularity of beekeeping as a hobby is indicated by the fact that, of Australia’s 12,000 registered beekeepers, only 11 per cent have more than 50 hives.